Thank you for allowing me to introduce myself as Ashley Siegler, Middle School Mathematics teacher at Erin Elementary School. The 2016-2017 school year will mark the beginning of my 9th year teaching Mathematics and my fourth year at Erin Elementary. 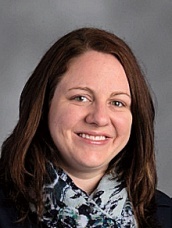 After receiving a Bachelor’s degree in Elementary Education and a minor in Mathematics from the University of Wisconsin – Whitewater I began my teaching career with grades 6-8 mathematics in a small town near Lake Geneva, Wisconsin. A move back to the area where I was raised has brought me the opportunity to work with the Erin families, staff and students. I am glad to be “home” and to spend time with my extended family as I enjoy raising my two young children. I firmly believe in an integrated approach to mathematics, where student discovery and project-based learning are emphasized. I fuse my teaching style with student-centered instruction, using their words and their ideas! I feel confident that I am preparing my learners for the rigor of college and work expectations as set forth by the Common Core State Standards. I enjoy offering a math class that has real applications, excitement for discoveries and the opportunity to experience and be vulnerable to learning as a process!